I visited Warsaw for about three days last week. 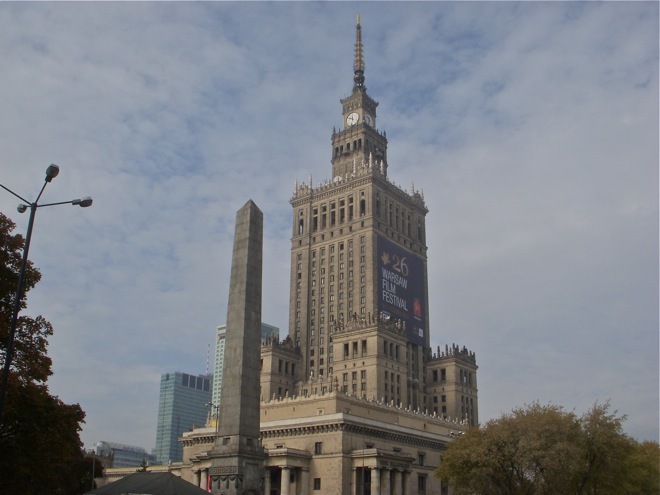 Warsaw is a busy capital city as all others that provides a view interesting sites. I didn’t have much of an interest and decided to leave for the mere reason that on the weekends the hostels are full, and a full loud hostel with a bunch of drinking drunks is not my cup or tea. Plus, for some odd reason I contracted an allergy in Poland. I found Poland to possess some odd energetic dynamics, but cannot really put my finger on the context; everyone asked “what am I doing here”, most locals cannot figure out why a person would visit Poland in the first place. One other country the allergy manifested was in Albania; I’ve noticed that when there are covert obscured dynamics within the country my allergy kicks in. This type of allergy is not from any trees, weeds, or food, it is caused from the entrainment of the atmosphere of a country. The guys that I rented from in Krakow were very weird, they seemed to overly emotionalize everything, so I just keep my distance, and they would not clean, the mother came over before I left and cleaned after them, and these guys are around 35. The guy that is on couch-surfing did not offer me even one couch-surifng night, nor would even show me the local food market. However, I had my own room and bathroom downstairs and I got some big web design projects finished. The main factor that most people are afflicted with is jealously that generates the negativity feeling of inadequacy—the loser syndrome is just around the corner then. I did met some very nice people including several friendly girls, even through I experienced some strange energy in Poland. The bottom line is Western Imperialism is presenting the opportunities of the west in the face of Poland, but most people cannot share in the consumption because of the low wages. The media also is producing a strong delusion within the country of Poland. Today I am in Berlin, Germany—I arrived last Saturday night staying at an overly modern city hostel but will be moving today more mellow hostel that is located within a quite neighborhood. Even though the Capitalistic Imperialism overrides the city, Berlin is an incredible city that provides every type of cuisine that a person might desire. The reason for arriving this early in Berlin is that I am flying to India on my third year anniversary—I bought a plane ticket when I was in Sarajevo for only $400, oneway from Munich to Bombay with one plane change and layover. So I am in Berlin processing my visa for India. 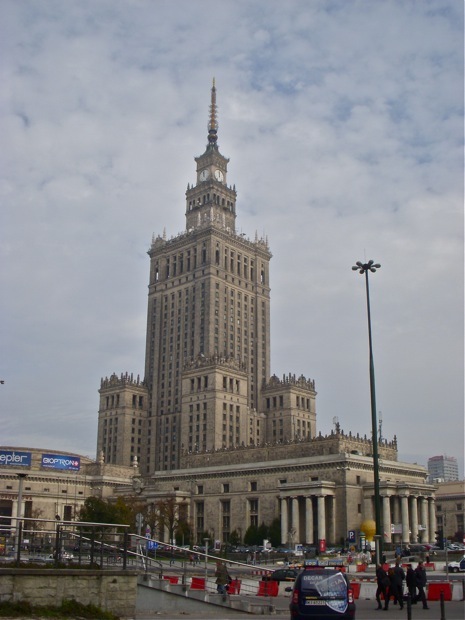 I inquired at the Embassy in Warsaw about getting the visa there and did not like the attitude and I did not want to be stuck in Warsaw. The visa processing center here in Berlin is operated by a third party. The process is straight forward, they need to fax the embassy of India in America for authorization then I can get the visa within one day. The process takes up to 7 working days. I booked a train ticket down to Munich at the beginning of November, here in Germany the train tickets are considerably cheaper if booked ahead which makes traveling Germany more difficult if the person does not have a rail pass. I am just making one trip so a rail pass would not be worth the money. Apple just updated the MacBook Air and released a 11 inch model starting at $999 and with flash memory, indeed this Mac is the travelers notebook, but still the processor is only 1.6GZ, but the Air can be upgraded to 4GB of memory, so it really is a toss up. It is tempting to purchase one in Munich, but at the Euro price, which is the same price if I ship one from the States, it would be much less weight. However, I will mostly likely wait. Now all the Macbooks will be converted to flash memory which is way better than the hard drive. The hard drive is the main culprit of why the notebook slows down.